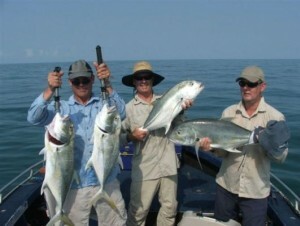 Obsession Bluewater & Barramundi Sport Fishing Safari is the perfect mix of Northern Territory fishing. With your waterfront accommodation base at Dundee Lodge, travel time to the blue water and estuary hotspots is minimised. 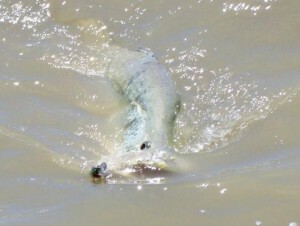 In and around Bynoe Harbour where you will chase Trevelly, Queenfish, Mackeral, Tuna, Jewfish, Snapper or Cod, and in the Finnis River you will target Barramundi and other river going species. 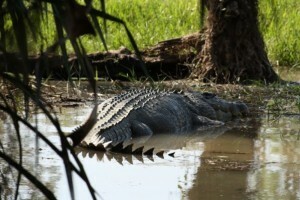 This is a two-day, one night tour with accommodation at Dundee Beach in the well-known Dundee Lodge. Mud crabs can also be caught in the Dundee area and along with a coldie at the end of the day, this adds to the true Northern Territory fishing experience. Inclusions: – Accredited Professional Fishing Guide – Transfers by air-conditioned 4WD transfers – Fully customised Barramundi fishing boat – Light refreshments, cool drinks and all meals – All fishing equipment including rods, reels and lures – Air-conditioned waterfront accommodation. 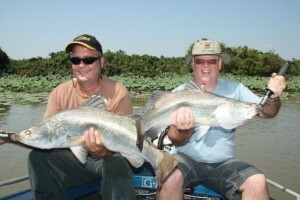 Our company is based in Darwin and is owned and operated by Justin Jones, an experienced angler who has fished the Northern Territory all his life. Obsession Fishing Safaris operate a 6.3-meter custom Barramundi boat with the capacity to comfortably carry 4 passengers. With a stern based console, you are provided with the maximum amount of fishing and deck space. The vessel is powered by a 4-stroke outboard allowing your guides to get you to the fishing locations quickly and safely.